Menu features items such as king oyster mushroom 'scallops'. Tesco is partnering vegan cooking duo Bosh! to help people cater for plant-based diets over the festive period. "Vegmas" takes place in Shoreditch on 4 December and will feature a five-course menu designed by Tesco and Bosh!. It will include vegan wine and canapés, king oyster mushroom "scallops" and vegan "bangers in blankets". There will also be items from the Tesco vegan Christmas range. The dessert will be "crowdsourced" among Bosh!’s 364,000 Instagram followers, who will vote for either Christmas-spiced sticky toffee pudding or a mincemeat tart. 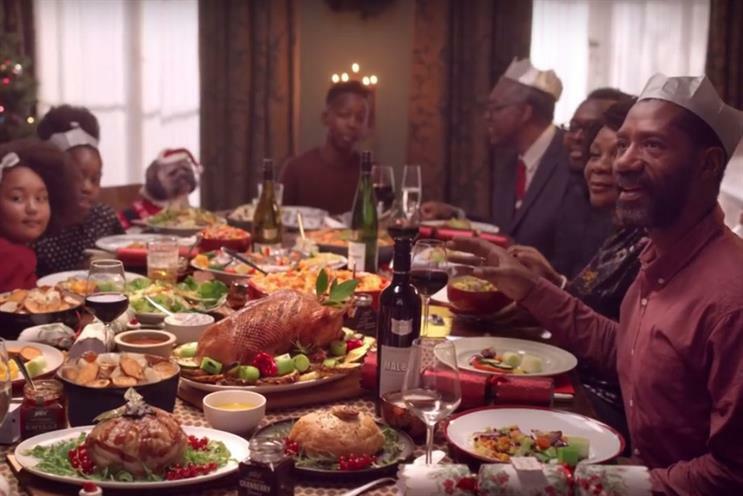 Tesco's festive ad this year focuses on the different rituals people have for Christmas day. Derek Sarno, director of plant-based innovation at Tesco, said: "There has never been a more relevant time for an event like Vegmas, with plant-based eating on the rise in the UK and many people choosing to eat meat more mindfully each week. "Holidays can be a time when already stretched home cooks can feel overwhelmed with cooking for everyone. Vegmas is designed to show how easy Tesco makes it to cater for all dietary needs and add more plants to your holiday tables – whether via easy and impressive pre-prepared items such as the Tesco Vegan Stuffed Butternut Squash centrepiece, or by using some recipe inspiration."